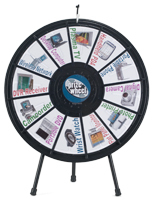 These Prize Wheels are Ideal for Use During Meetings or Trade Shows! Various Other Spinning Games Also Sold Here! 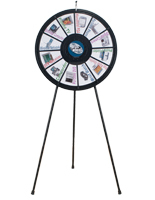 Browse Prize Wheels & Other Marketing Displays Offered in this On-line Catalog! 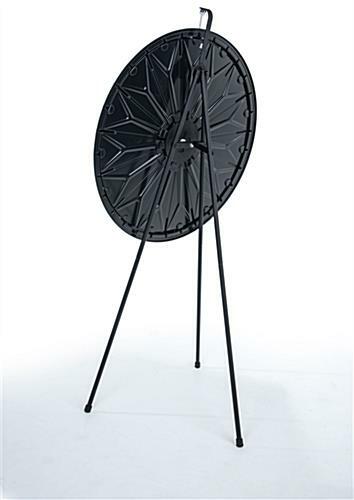 Sturdy tripod-style stand made from powder-coated steel to support large, 40"diameter prize wheel. Durable ABS plastic and PETG plastic construction for years of use. 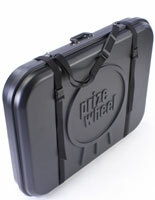 Includes 15-30 customizable prize slots and center plate for logo or text. Easy-to-use sign templates in Microsoft® Word or Adobe® Illustrator® format for customization. 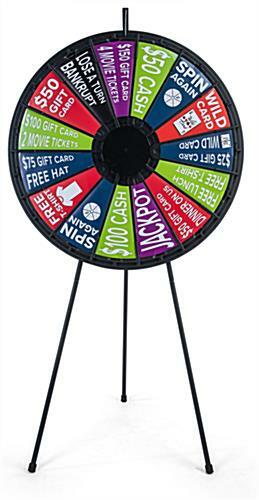 These prize wheels are the largest displays we offer, measuring 40" in diameter and standing over 6 feet high. 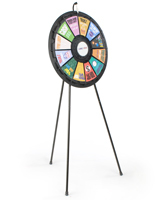 These SUPER spinning games are made from precision-molded, ABS plastic and durable PETG plastic, with a sturdy tripod style stand made of high quality power-coated steel. 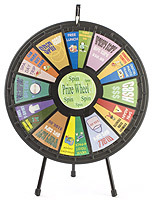 The prize wheel with a casino-like sounding clicker adds to the excitement of this unique chance spinner. 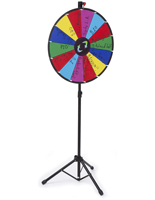 This large custom promotional spinning game is a proven winner. 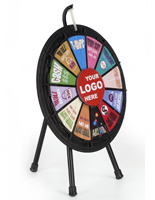 These impressive marketing tools, prize wheels are great for drawing attention at tradeshows, exhibitions, fitness centers, cosmetic / beauty events or supermarkets. 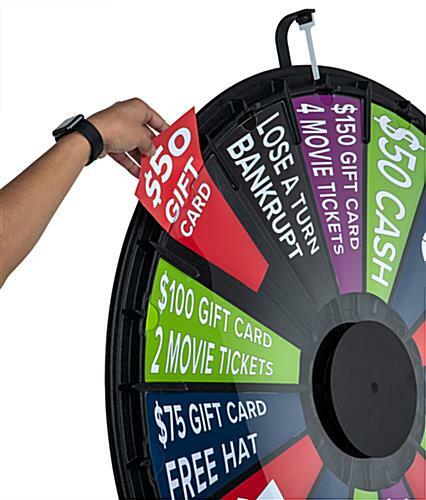 Each of these spinning awards features 15-30 customizable prize slots and a clear signage plate for insertion of your graphics, giveaway description, or message printed straight from your own printer. 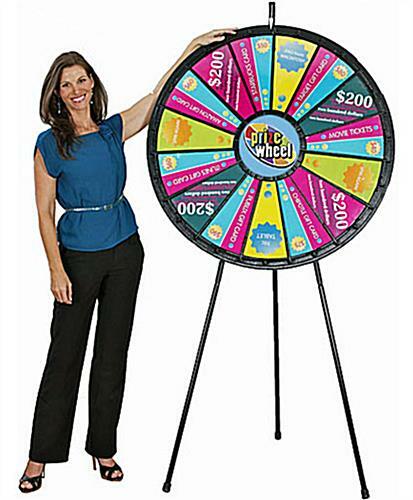 We provide these super prize wheels with sign templates necessary to print your rewards messages. 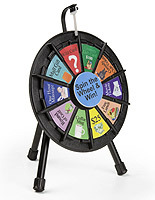 No special paper, hook and loop or tape is needed for any of these promotional games that spin. With these game wheels, users can easily change awards often. It's EASY and FUN! 40.0" x 78.5" x 33.5"